Treat yo'self: seriously pink for less than $90. You are here: Home / Jewelry / Earrings / Treat yo’self: seriously pink for less than $90. Treat yo’self: seriously pink for less than $90. It’s not Wednesday, but with these babies in your jewelry box, you’ll be ready to comply with a pink dress code any day. nOir “Jaipur” neon pink cord and silver crystal earrings ($66). 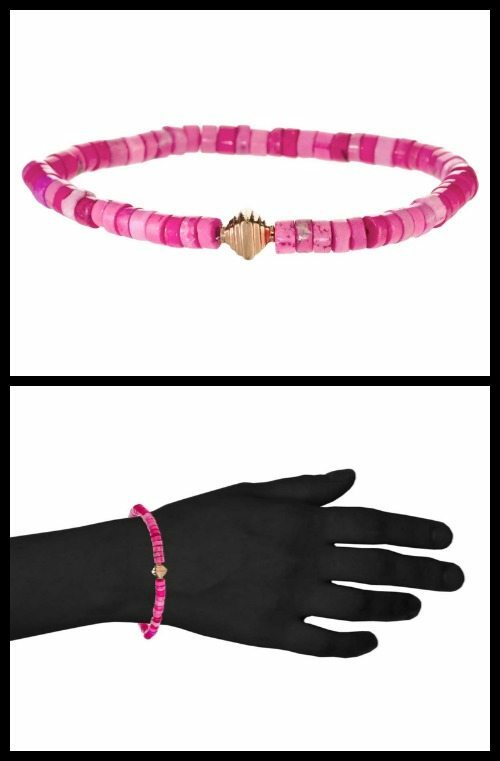 Hortense Pink Candy bracelet; pink beads with one tiered rose gold pyramid bead ($85). BaubleBar Dipped Scarab collar in hot pink ($38). All images and info in this 3 under under $300 post is thanks to the seller of each individual item. Please see descriptions above for links to original listings.